John Ostrom was professor emeritus of geology and geophysics and curator emeritus of paleontology at the Peabody Museum of Natural History. 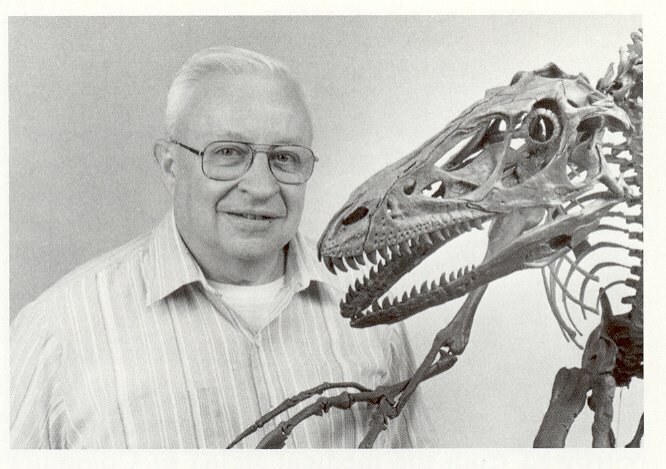 He sparked a renaissance in the study of dinosaurs with his 1964 discovery of Deinonychus (material from the same animal had been collected from the same region by Barnum Brown in 1931 and 1932 but never described). The small carnivorous dinosaur's remains led Ostrom to suggest dinosaurs might be active and warm-blooded, not cold-blooded as scientists then believed. "Getting into the mindset of seeing them as active, warm-blooded, bird-like – that's a tremendous transformation in how we see the world, and John's work all jump-started that," said Jacques Gauthier, who took over as curator of Vertebrate Paleontology at the Peabody when Ostrom retired. "John really brought in the dinosaur renaissance." Ostrom's theories that dinosaurs were more anatomically similar to birds than lizards were met with sizeable controversy, and scientists questioned the accuracy of his claims for years. 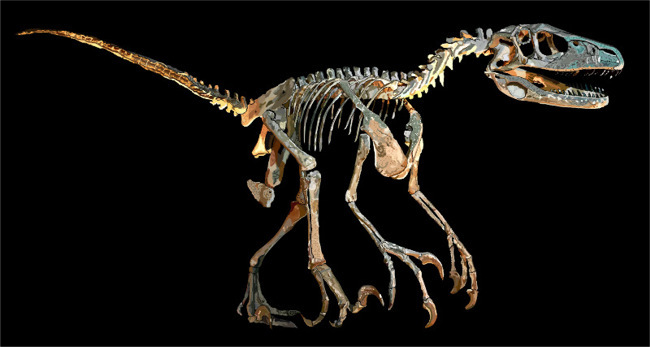 Ostrom's hypothesis was recently validated when fossils of a feathered dinosaur were discovered in China. Photo of Dr. Ostrom from HERE. Ostrom first joined the Yale faculty in 1961, only one year after receiving his Ph.D. in geology and vertebrate paleontology from Columbia University, and he remained at the University until his retirement in 1992. Colleagues described Ostrom as a quiet but meticulous scientist who worked diligently to build a body of evidence to convince other paleontologists that dinosaurs were indeed warm-blooded.